In this compilation, the authors present the results of the systematic study of the spatial distribution of trace metals in surface soil over the Bitola Region, Republic of Macedonia, known for its coal mine and thermoelectrical power plant activities. 149 soil samples were collected including top-soil and bottom-soil samples. Following this, the area in the vicinity of lead–zinc mine “Toranica” near the Kriva Palanka town in Eastern Macedonia was examined for the lithogenic and anthropogenic distribution of 17 elements, and alluvial soil samples and authomorphic soil samples were collected from the Kriva Reka River Basin. The authors aim to contribute to our understanding of the behaviour of nanoparticles in the soil, their uptake and distribution within plants, impact of soil microbial communities, and their interactions with other pollutants. Later, the authors summarize a case study on the presence of natural U-isotopes in two soil profiles developed over sandstones from the Paraná sedimentary basin in São Paulo State, Brazil, in order to evaluate the timescale of the weathering processes taking place there. 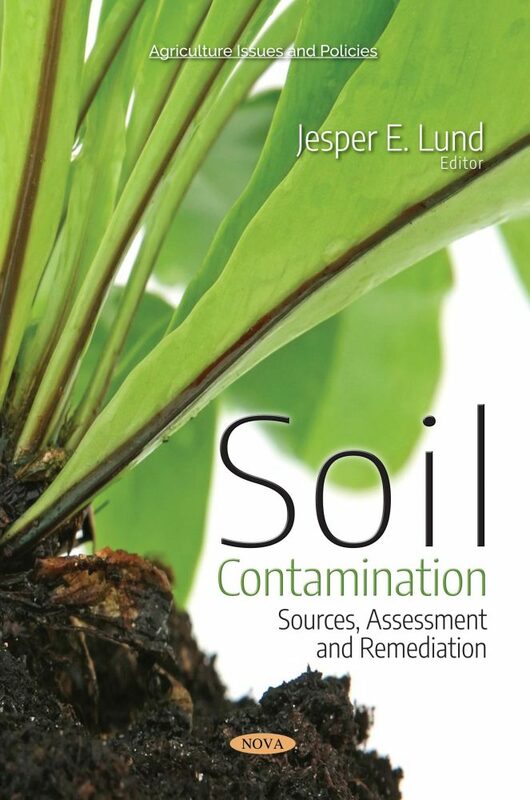 The book suggests synergistic biological mechanisms as a less expensive, environment-friendly method for remediation of pesticide polluted soils. The concluding chapter discusses biochar, a form of char and charcoal made from the partial combustion of organic materials. Its properties include high water-holding capacity, large surface area, cation exchange capacity, and impact, especially on microbial communities.